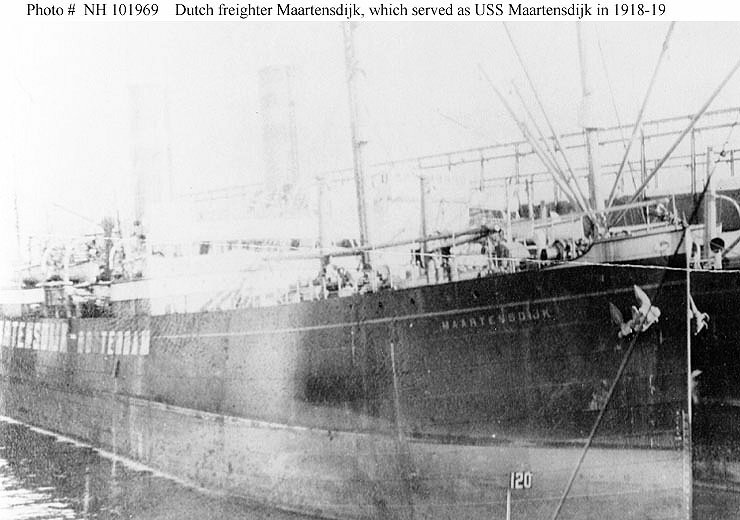 Freighter: Built in 1902 as Rapallo by Furness Withy and Co., Ltd., West Hartlepool, Great Britain; Renamed Maartensdijk: Acquired by the Navy 21 March 1918; Commissioned USS Maartensdijk (ID 2497), 28 March 1918; Decommissioned 25 February 1919 and transferred to the United States Shipping Board the same day for return to her owners. Fate unknown. Specifications: Displacement 13,000 t.; Length 400' 6"; Beam 52' 1"; Draft 28' 6"; Speed 11 kts. ; Complement 113; Armament one 6" and one 3". 76k Photographed prior to her U.S. Navy service. 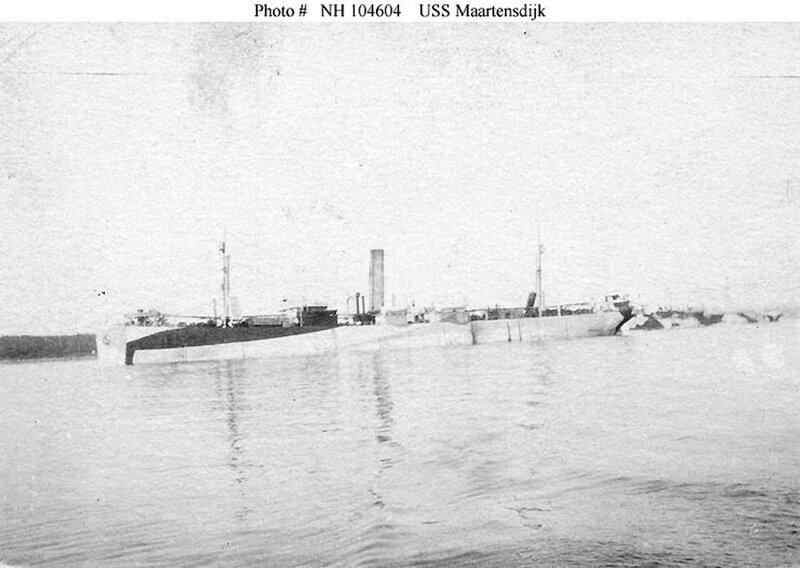 101k Photographed in 1918 or early in 1919, while painted in pattern camouflage. Donation of Dr. Mark Kulikowski, 2007.